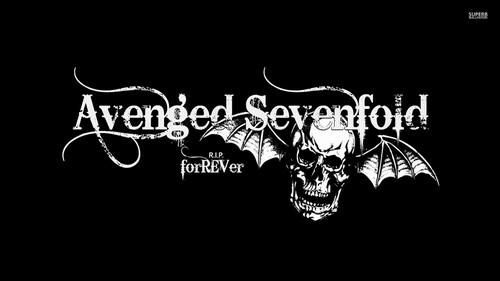 Avenged Sevenfold. . HD Wallpaper and background images in the Heavy Metal club tagged: photo avenged sevenfold logo. This Heavy Metal wallpaper contains zeichen, plakat, text, tafel, schilder, and poster. There might also be jersey, t-shirt, t shirt, and tee shirt.